what is it for ? Traditionally of large capacity, the stockpot is used to cook large amounts of food in water, such as pasta or rice, to simmer soups and vegetable dishes such as ratatouille or couscous, to poach the meat but also to blanch the vegetables. It is also well suitable for cooking crustaceans - crabs, lobsters ... Regarding its volume, a champion of conviviality when it comes on the table. 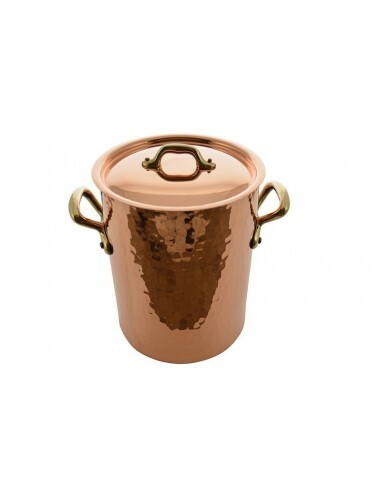 Stockpot in copper tin extra thick, bronze handle with a lid. Copper and tin are a very homogeneous couple and allow a perfect conduction of heat. 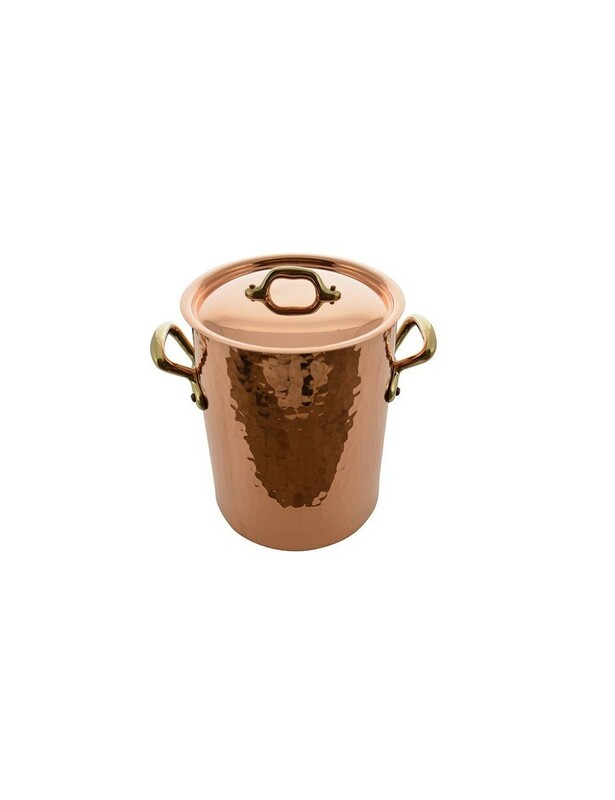 Ideal for keeping warm soups and preparing any kind of liquid. Diameter 18cm.